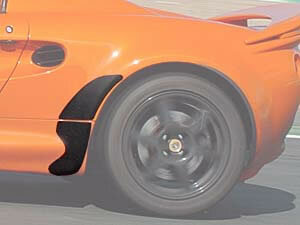 This wheelarch protection kit contains three parts per side of the car. The part which sticks on the sill, the part for the actual rear wheelarch and the smaller part which protects the side of the airvent. Made from original extra thick and flexible material, these kits are available in black and transparent. Replacing the transparant material with black material on light coloured cars certainly makes the car look a lot better, the transparant kits are a great replacement for original material that has turned yellow or as a replacement in case of damage repairs. Dieser Artikel wurde am Tuesday 25 October, 2005 eingetragen.